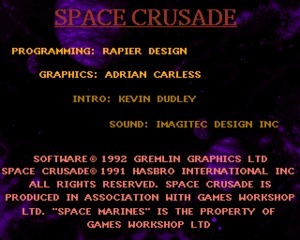 Space Crusade is a computer adaptation of the 1990 Games Workshop boardgame set in the Warhammer 40,000 universe. 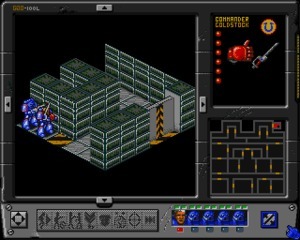 Space Crusade is a computer adaptation of the 1990 Games Workshop boardgame set in the Warhammer 40,000 universe. 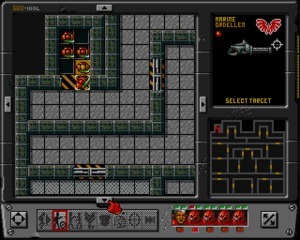 The video game was created by Gremlin Graphics and released in 1992 for the Amiga, Atari ST, Commodore 64 and other platforms. 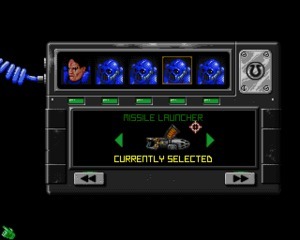 It's a squad management turn-based game set in space, where the player controls a team of five marines fighting against aliens. 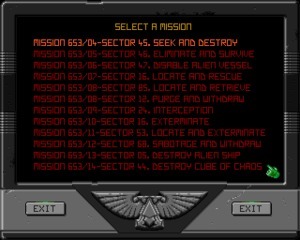 Each mission has a different goal, but in most of the cases, you have to terminate all the aliens. 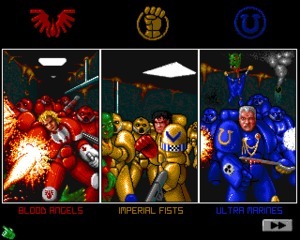 Before starting you can select one of the three available factions - Blood Anges, Imperial Fists, Ultra Marines - while the computer always controls the aliens. 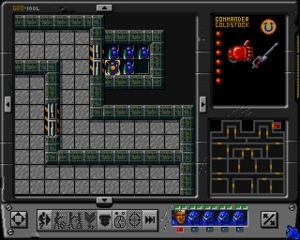 As already done with Heroquest, released in 1991, Gremlin didn't try to invent anything new. 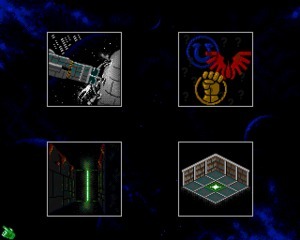 They kept the rules and game mechanics of the physical version (with combat strictly based on dice rolls), and they added all the rest: a brilliant graphic by Adrian Carless (Zool), beautiful music by Barry Leitch, plus great playability and perfect learning curve. A nice change compared to Heroquest is the alternation between isometric and top-down views. 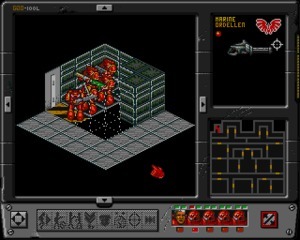 You usually play in top-down "map" mode, but during combat, the perspective automatically changes to isometric. 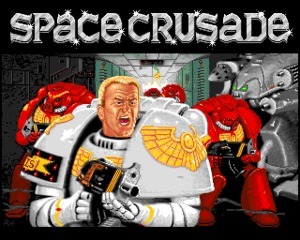 Space Crusade is fun both if you know the original game and if you didn't know it. 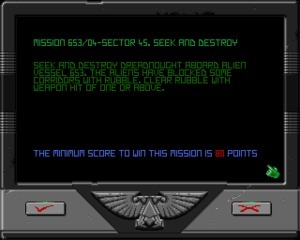 The strategic part is less advanced compared to Laser Squad or X-Com, but it's a very addictive game with a gorgeous atmosphere. Try it!